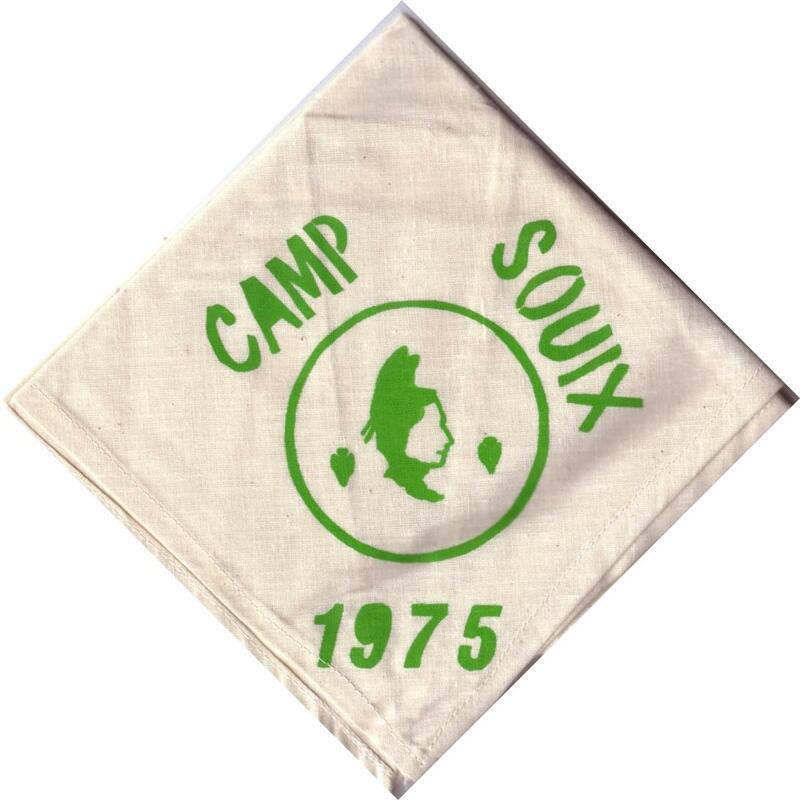 Oldest Camp Naish Staff Neckerchief? 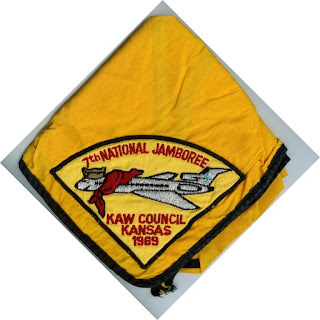 This week we have a couple of early Camp Naish staff neckerchiefs. 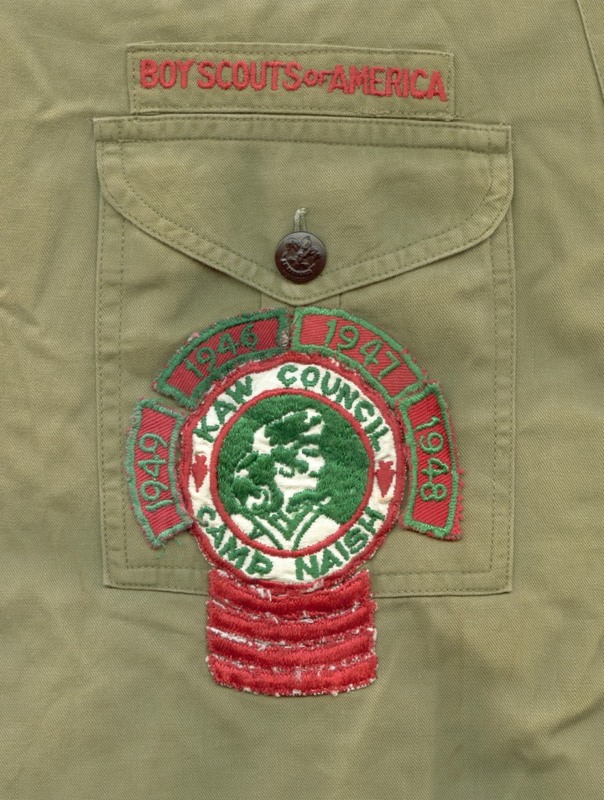 My parents found this one at a local flea market in with some other scout stuff. Keep your eyes peeled, you never know what you might find! 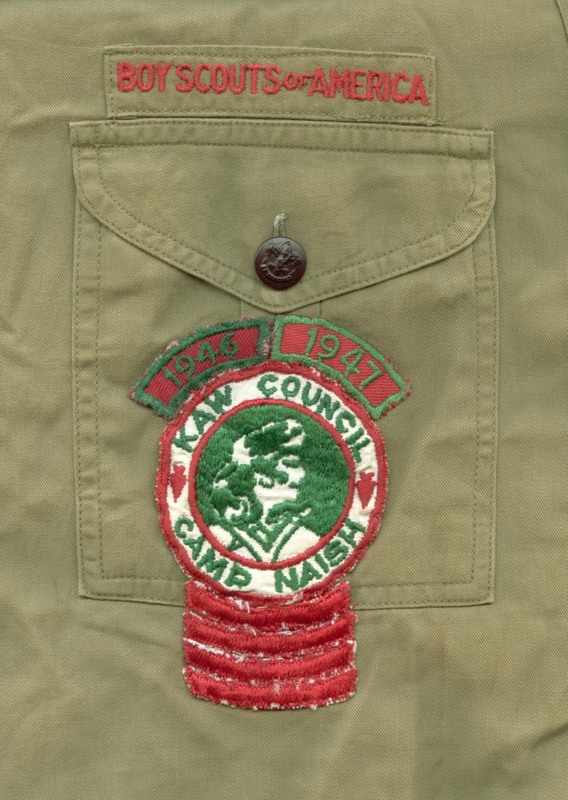 The 1945 version (picture scanned from The Patches of Camp Theodore Naish compiled by Andy Dubill) includes the sought after “Frontiersman” Camp Naish patch and is in near mint condition with a nice look to it. 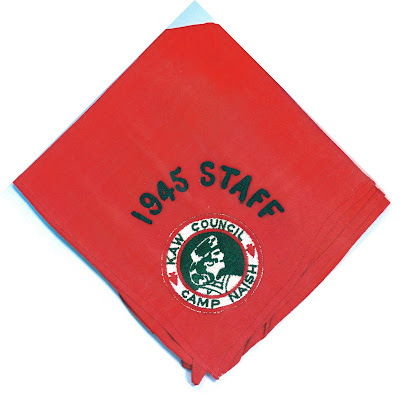 In looking at camp staff photos compiled by the Heart of America Council Camp Staff Alumni Association, there were only 16 members on staff in 1945, each would be pretty hard to come by. 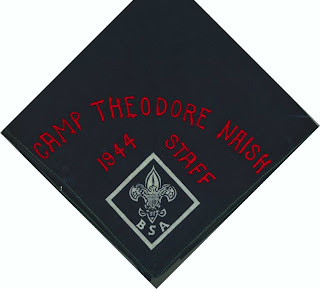 Additionally, Camp Naish staff neckerchiefs can be viewed at campnaish.org. 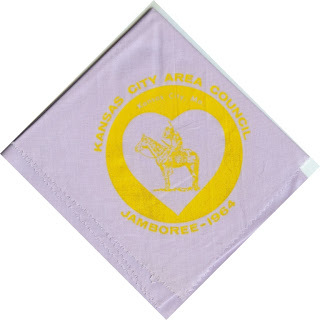 Also, the Heart of America Council Camp Staff Alumni Association is gathering images of all Camp Staff neckerchiefs from Naish, Bartle and Rotary. 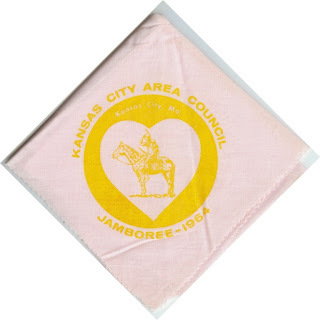 I can put you in contact with the person leading that effort if you have additional neckerchief images. 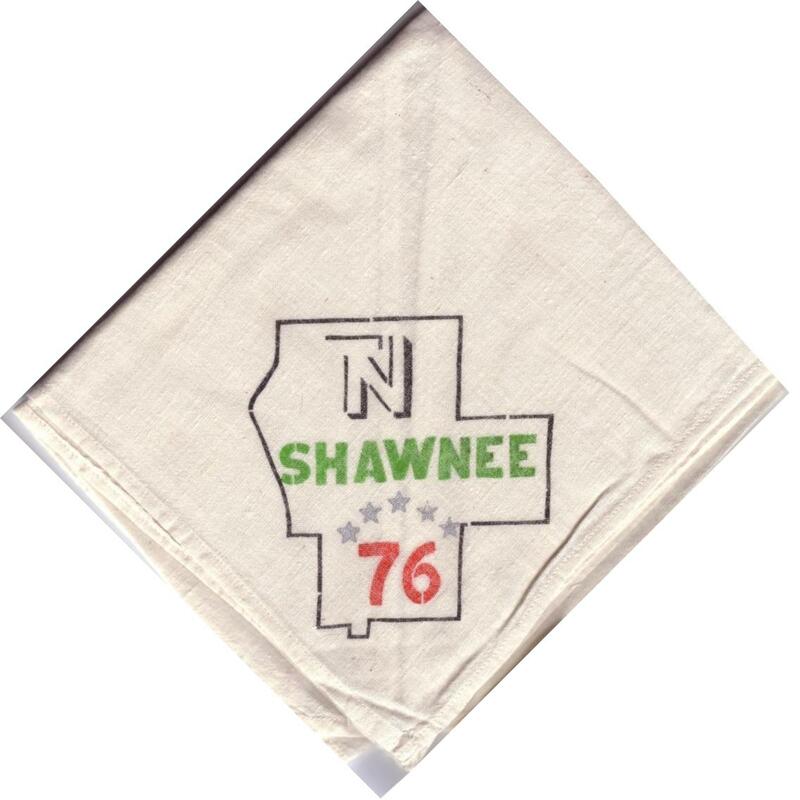 Do you have an earlier Camp Naish staff neckerchief? 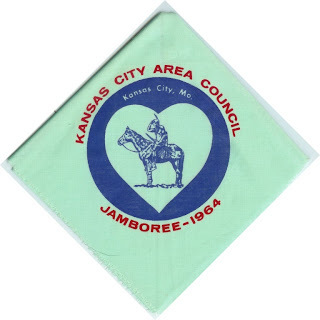 Do you have any neckerchiefs from 1946-1949? If so, I’d like to get an image of them.